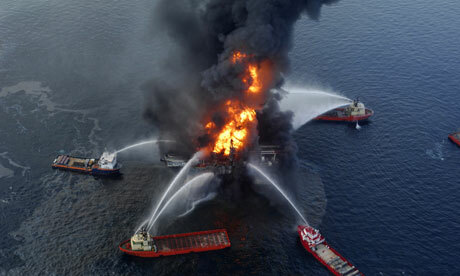 The report, a compilation of published science since the spill, reveals that “the Gulf oil spill is far from over,” Inkley said. “The oil is not gone: There is oil on the bottom of the Gulf, oil is washing up on the beaches, and oil is still on the marshes,” he said. —More than 900 bottlenose dolphins have been found dead or stranded in the oil spill area since April 2010. If you stretched the corpses lengthwise, that’s 1.5 miles (2.4 kilometers) of dead dolphins, Inkley said. Scientists know that is more than in previous years because they’ve been recording deaths and strandings in the Gulf for a decade. —There are five species of sea turtle that live in the Gulf, and all of them are listed as threatened or endangered by the Endangered Species Act. About 500 dead sea turtles have been found in the spill region every year since 2011—”a dramatic increase over normal rates,” according to the NWF. What’s unknown is how many turtles died at sea and were never recovered by scientists. Overall, “we have a long way to go in understanding the full impact,” Inkley said. Restoring the oiled ecosystems is a goal, Inkley said, but he added oil is tough to remove, especially in marshes and in the deep ocean. That’s why NWF is emphasizing prevention—in particular, adopting alternative energy resources that are not carbon-based and won’t cause oil spills. “I’m still haunted by the ‘walking dead’ brown pelicans covered head to toe in the oil,” added Inkley. 5 Comments on "Gulf Oil Spill “Not Over”: Dolphins, Turtles Dying in Record Numbers"
Humans are killing the planet. BAU will make the deed done. It was bad enough that the Obama administration gave BP waivers from environmental laws and safety regs to drill the well that blew out, but now the administration has reinstated BP as a trusted partner, allowing them to bid again and drill again in the Gulf. Good luck trying to stop it. As it gets more difficult to find and extract oil, chances are we will see a lot more “spills” in the future. True desparation awaits. To keep BAU going, oils spills and environmental destruction is just the price that is going to have to be paid. No, I am not Marine biologist, but I was never of the opinion it ever ended. All BP managed to do was sweep things under a(very toxic) rug, and the uS corporate medias typical lack of reporting did the rest. We have to stop using oil and gas for power. Obtaining, transporting, storing and burning them are too ruinous to our air, water, and soil, in other words, to our planet. Each step of the process has it’s own form of pollution. We must invest in sun, wind and water powered methods for powering our homes, cars, and factories. It can be done, we just have to do it.